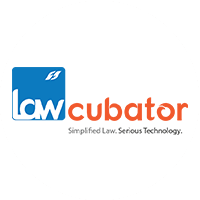 Lawcubator Technologies is a seamless blend of Law and Technology, which demystifies law and provides effective solutions to day-to-day legal concerns. Our vision is to impart knowledge, simplify compliances and facilitate networking opportunities in the domain of law. Using our niche technology, we redesign the process of effective implementation of law and simplify different facets of law in an innovative way. It is our aim to make you aware of your legal rights and remedies through our interactive training modules. We offer a wide range of certification courses in specific forms of law.